At one point in the early 1960s, the Ilyuschin Il-62 was the largest long-range airliner in operation with a range of 10,000 kilometers. Nowadays, the Soviet-built plane has largely been retired from active service. In Graz however, one Il-62 in particular has continued to find a new purpose even without taking off. The Novapark Hotel recently acquired the aircraft from the Lower Austrian “Magic Jet” restaurant operator, with the aim of converting it into an event location on top of their wellness area. On April 2nd, the winged restaurant started its journey from Heidenreichstein to Graz. Roundabouts and train crossings had to be temporarily modified ahead of the transfer to accommodate the 70-meter-long fuselage; its wings and other parts had to be transported separately. After causing speculation and excitement amongst commuters and onlookers for several days, the decommissioned airplane finally arrived on the hotel premises to much fanfare. According to hotel manager Helmut Neukam, the next step is for the 122-ton plane to be raised onto the four-story hotel’s roof, where it will serve as an exclusive event location and bar. Interestingly enough, the IL-62 has been used for VIP purposes before as it was the official air transport for the heads of state of several former communist countries such as Cuba and North Korea. The total cost for the transport and renovation is estimated to be between 1.5 and 2 million euros. “The best way to describe the interior of P-881 is that it feels like what you would imagine a Soviet Doctor’s office waiting room in 1975 to look like. 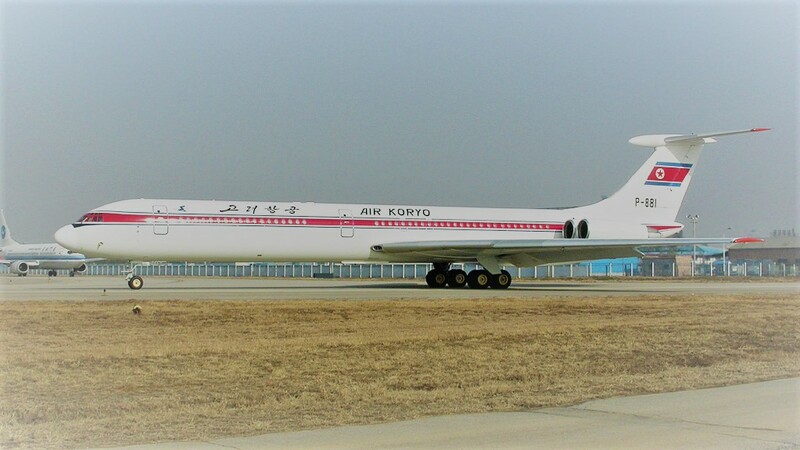 That’s not derision – just fact.” – Bernie Leighton, airlinereporter.com, on being aboard an Ilyuschin Il-62 operated by North Korean Air Koryo in 2013.